Geniune Chevrolet Corvette dealer sales brochure. WITH Jake logo. This is an item most people forget to ask for when purchasing their car. It's a must have article to have to complete your documentation with your car. Check my other items for sale many Chevrolet brochures to be listed. Free shipping within the United States. Additional $7.50 USD to ship outside of US. Just published, hard to find! A beautiful piece, in Xlnt, unused condition! 2004 CHEVROLET CORVETTE DEALER SALES BROCHURE. GM or Chevrolet Part Number - 04CHECORAT01. Large 10 3/4" x 10 3/4" Glossy and Slick Pages with CD / DVD. Original 2005 Chevy Corvette Dealer Sales Model Details Book. 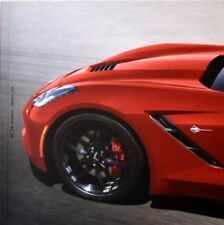 This spiral bound Book details the Features, Options and Specs of the Corvette as well as comparing it to the Competition. It is in very good condition with minor wear and will display well [see photos]. New. Unopened. Still in factory srink wrap. For the 2019 c7 Corvette ZR1 stringray and Z51. Factory new. Never opened. Very hard to find! The second catalog is ZR1 ONLY, 11.5 X 11.5" with heavy covers and 36 pages. Interior/exterior views, options, specs. Unopened, in original slipcase, still sealed in original Chevy box! Corvette in coupe---convertible---hardtop. Here we have a1999 Chevrolet Corvette sales brochure. This is an ORIGINAL brochure NOT a reprint. This brochure covers the following models Features of this brochure. 2014 STINGRAY CONVERTIBLE CORVETTE - DEALER BOOK BROCHURE - C7 CHEVROLET LT1. Shipped with USPS Media Mail. 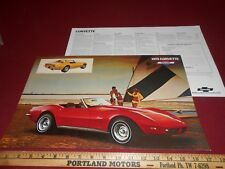 This 1967 Chevrolet Corvette Sales Brochure is in very good condition. Color is very nice, portions of the materials have been reprinted with permission of GM. 1999 Chevrolet Corvette. Owners Manual. Video Tape. I've collected over the years. Very informative and rare piece of automotive history. 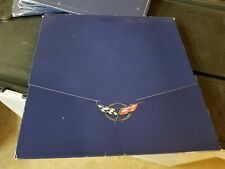 This 1962 Chevrolet Corvette Sales Brochure is in very good condition. Color is very nice, portions of the materials have been reprinted, makes a great display item. This unused Patch would be perfect on a Race Jacket or Shirt. 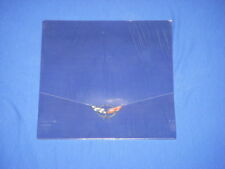 It is in very good condition with minor discoloration [see photos]. Geniune Chevrolet Corvette dealer sales brochure. This is an item most people forget to ask for when purchasing their car. It's a must have article to have to complete your documentation with your car. Check my other items for sale many Chevrolet brochures to be listed. Free shipping within the United States. Additional $7.50 USD to ship outside of US. Z06----Stingray----Grand Sport in coupe/convertible. Here we have a2017 Chevrolet Corvette sales brochure. This is an original brochure NOT a reprint. It is in VERY VERY GOOD condition. This brochure covers the following Corvette models. Corvette Sting Ray Sport Coupe. Corvette Sting Ray Convertible. Sting Ray Power Teams Chart. Chevrolet Div. Regress Press. For Performance and Style Minded Individuals. From Rubber to Roof, a Sports Car. Sting Ray Corvette Chevrolet 1964 - '64 Corvette Sting Ray. Corvette Power Teams. Chevrolet Division. Regress Press. General Information. This brochure includes Stingray, ZR1, Z06, Grand Sport, Coupe and convertible, with interior/exterior views, options, specs, color chip selector. Very hard to find this brochure with the original slipcover. Included are two factory color press photo transparencies of the 1981 Corvette. A single white one and a white one pictured with a red one in the other. Pages: 1 plus 2 Transparencies. Just published, very hard to find! Includes separate color chip folder, with interior/exterior color combo selector! A beautiful piece, in Xlnt, unused condition! 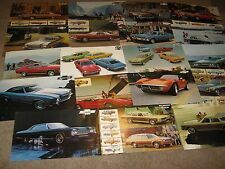 Original early 1970's Chevrolet Dealer Desktop Promotional Photo. It is in good condition for its age with minor wear/scuffing and discoloration [see photos]. Vintage DALE Chevrolet Corvette Automobile Dealer Sign Milwaukee Wis.
2009 Corvette Prestige Brochure, Z06 ZR1 Sealed MINT. 2012 Corvette Prestige Brochure. LARGE, 3-PANEL FOLDOUT was the BEST BROCHURE issued for the 1977 CORVETTE. 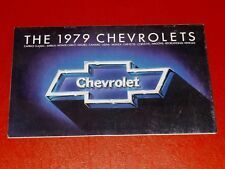 You ALSO GET the RARE ORIGINAL '77 CHEVY SPORT MODELS BROCHURE covering CHEVETTE RALLY, VEGA GT, NOVA RALLY, MONZA SPYDER, CAMARO Z28 plus more on the 1977 CORVETTE! ZR1 and Z06. ORIGINAL BROCHURE. Original Sales Brochure. An excellent literature piece for the enthusiast/owner. (may have slight wear marking associated with storage). VALUE PRICED ! Unique historical ORIGINAL Literature item. Original pair of 2014 Chevrolet Camaro and Corvette Auto Show Handout Cards. These Cards highlight the new Sport Models for 2014 with Specs on the back and the front has die cut stickers that will peel off. 1967 Sting Ray Power Teams. Chevrolet Div. Regress Press. Exterior Colors & Interior Colors. Sting Ray Convertible in Marina Blue with Black Vinyl-Covered Removable Hardtop. Height Overall. Interior Room: Sport Coupe and Convertible. 2000 Chevrolet Corvette. Owners Manual. Video Tape. I've collected over the years. Very informative and rare piece of automotive history. 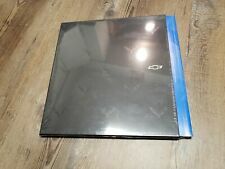 2009 Corvette Prestige Brochure, Z06 ZR1 Sealed MINT. 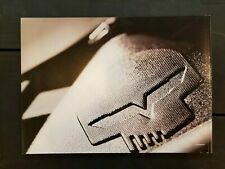 2011 Corvette Prestige Brochure. New Corvette by Chevrolet. Corvette Convertible. New Corvette V-8. New Going Look. New Outfront Styling. Interior and Exterior Images. Camaro RS Convertible and Iroc-Z Coupe. ORIGINAL BROCHURE. Caprice and Estate Wagon. Original Sales Brochure. a white Corvette Coupe. An excellent literature piece for the enthusiast/owner. (may have slight wear marking associated with storage). Here we have a2000 Chevrolet Corvette Data Book sales brochure. This is an ORIGINAL brochure NOT a reprint. This brochure covers the following models Features of this brochure ----It contains tons of specific information not found in a typical sales brochure.